Whether you are on holiday in Lyon or on a business trip, short-term rental is an excellent alternative that can make your stay even more enjoyable. Short-term rental has been winning over more and more travellers in recent years. Indeed, this type of accommodation appears to be meeting a true need, whatever the reason for the stay. 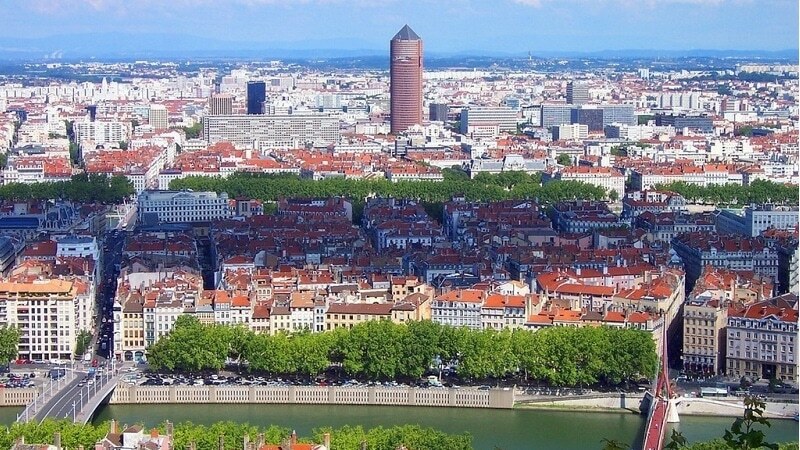 Whether you are coming to Lyon on holiday or on business, why is short-term rental a great solution for you? 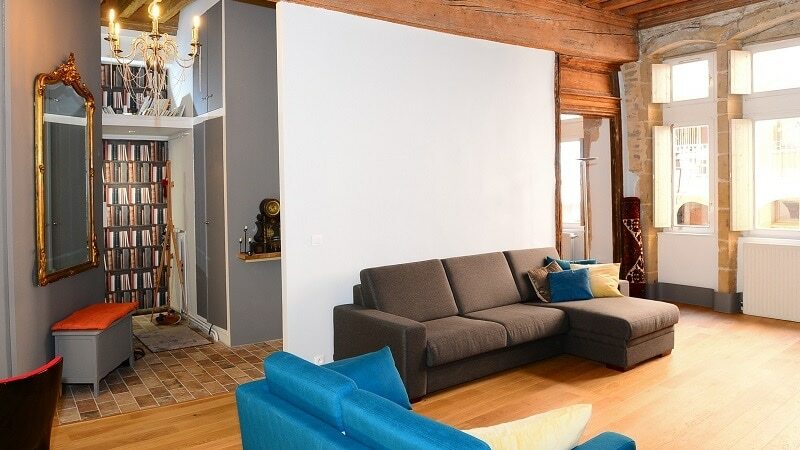 An apartment on short-term rental in Lyon. Whether you are coming to Lyon to visit the city on holiday, whether you are an expatriate or on a business trip (Lyon hosts a large number of professional seminars and trade shows), short-term rental can provide an excellent type of accommodation for you. Obviously, the type of accommodation you need varies depending on the reasons why you are coming to Lyon. The kind of apartment you rent and its location can have a big impact on your stay. For this reason, it is important for you to find the accommodation that best meets your needs (in terms of neighbourhood, size, access to transport, budget, etc.). Seasonal rental refers to accommodations rented out during holiday periods. “Short-term rentals” are different from and complementary to seasonal rentals, as short-term accommodations are less affected by seasonality. Short-term rental offers various advantages compared to a standard hotel room. Furnished short-term rentals ensure you a pleasant, warm atmosphere. As well, renting a furnished apartment for a short period offers you greater freedom and helps you feel at home throughout your stay. Holiday planning habits have changed considerably in recent years. Today, holidaymakers tend to spread their vacations out over the year, with a higher number of destinations and shorter stays (4 days on average), unlike in the 1960s, when workers took 1 week of holiday in winter and 4 during summer. How can you reserve your short-term rental? When reserving your short-term rental, the owner or their representative are required to provide you with a full description of the accommodation, i.e. the number of rooms, the surface area in square meters, and a list of the furnishings and appliances in the apartment. In most cases, partial advance payment is requested when you book the accommodation. This payment may not exceed 25% of the total price for the rental and cannot be requested more than 6 months in advance when you are working with a real estate agent. The balance of the price cannot be requested more than one month before you check into the apartment. In both cases it involves money that is paid when two parties enter a sales contract. The consequences will be different depending on whether you pay a deposit or make a down payment. It should be noted that in the event the nature of the money paid is not specified, it is considered as a deposit. If you pay a deposit, you can cancel the rental. However, you will not be refunded for the amount paid. If, on the other hand, the owner terminates the contract, they can be made to pay two times the amount of the deposit paid. If you make a down payment, even if you cancel the reservation, you must pay the full price. If it is the owner who terminates the contract, they may be required to pay damages. What must the rental contract contain? The rental contract must contain, in addition to a description of the apartment, the rental price, the amount of additional fees to be paid, the length of the rental period, and the amount of the security deposit paid. This deposit is generally placed on a bank account and an inventory and state of repair assessment must be carried out. The balance of the rent must be paid at check-in. When the rental period is longer than one month, the amount of the security deposit cannot exceed one month of rent. If no inventory and state of repair assessment is carried out at check-in, the owner must be able to prove that any damage was caused by the renter. 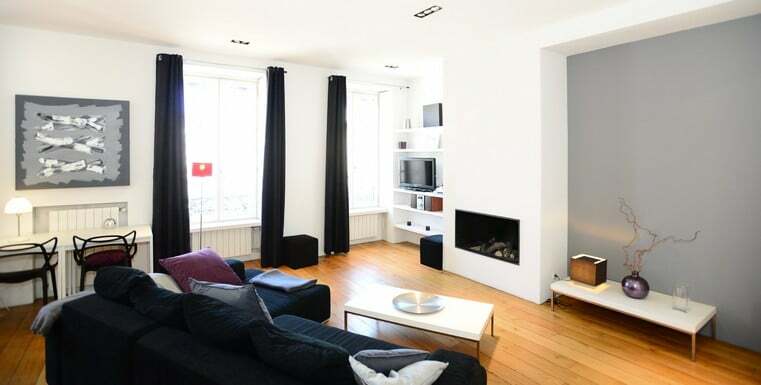 Appart’Ambiance offers short-term rentals, along with a range of various services, in all neighbourhoods and districts of Lyon. Composed of a team of Lyon natives who know the city like their back of their hand, Appart’Ambiance assists you throughout your stay so that you can enjoy Lyon to the fullest, whether you are here on business or on holiday. If you wish to find an apartment for a longer period of time, Appart’Ambiance also offers apartment rentals by the month! A refrigerator and freezer or, at least, a refrigerator with a compartment where food can be stored at a temperature of -6°C maximum. Household cleaning equipment adapted to the features of the accommodation.